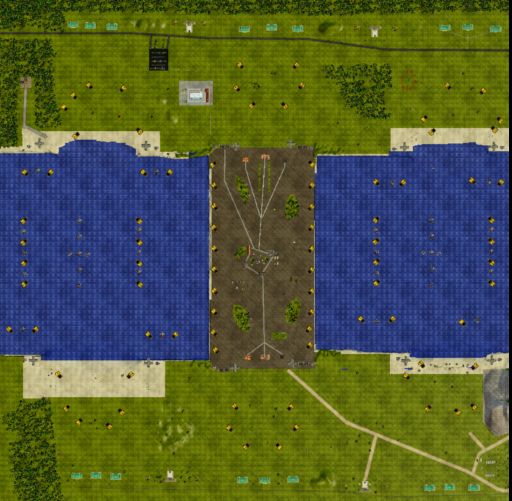 This map is a 3vs3 skirmish map for red alert 3. With the left and right side players starting near the water and the two middle players starting further inland. This map also has tons of resources so don't worry about ore.
Also there are defense structures like buildings and stock exchanges through out the map placed fairly and evenly. This map was made to be as balanced as possible.